Well not yet, but as I know that with you, my friends and family, this can be possible. 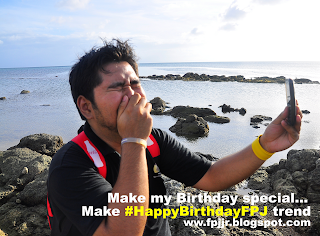 So I appeal to your hearts and twitter account to make April 30, my 25th birthday, a special day for me, lets all make #HappyBirthdayFPJ trend in twitter. It might be impossible for an individual like me who is not a celebrity to make it to the most discussed over the net, but who knows, I like to dream big and there were so many things that actually came true beyond my expectations. I do want to thank all of the people who have alreday sent their greetings online and via text. The day is not over and I also wish that I could treat you if I could. I plan to celebrate my birthday with a movie night and hopefully a small gathering. The Homeschooling Association of the Philippine Islands (HAPI) recently made announcements that the country's 4th Homeschooling Conference has been scheduled to happen on May 19, 2012. Set to take place at St. Francis Square Ortigas Center in Mandaluyong, the event will gather parents, academe, and homeschooling experts in one venue to promote awareness of the program, as well as provide guests with access to homeschool-related tools and services. 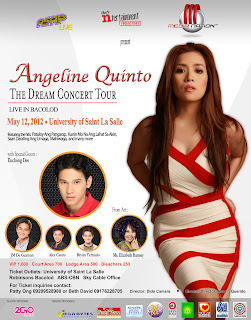 ANGELINE QUINTO lives her Dream Concert Tour in Bacolod, May 12, 2012, University of St. La Salle. Online selling is a fast growing activity in the net today, with many people wanting to sell new and old things that can be an alternative source of income and also a way to get extra cash for things you are also planning to buy. That is why I go for a website like AyosDito.ph which is easy to use even to first time buyers and sellers. Before, buying and selling is a problematic activity. For one to succeed in buy and sell, you need to post an ad in a newspaper. 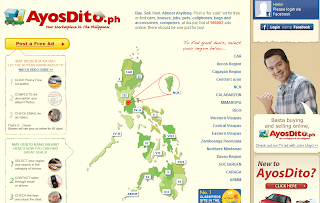 Now, there’s a cheaper, hassle-free and fast way of offering pre-loved items to those who need it—visit and post free ads on online websites such as www.AyosDito.ph. I myself have tried to sell some items using this website to test and also sell my items. The first was a GTA IV original game, after posting I got a great buyer within less than 2 days! And with the facebook feature, it helped me with another transaction. Indeed AyosDito makes buying and selling easy and simple! For this week's countdown, Nicky Minaj holds the top spot now with STARSHIPS. 2nd place goes to Pitbull with BACK IN TIME which is last week's number one. The third place is TURN UP THE MUSIC by Chris Brown. 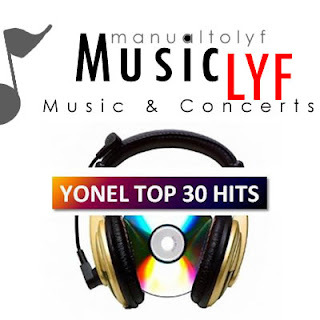 See the rest of the countdown after the jump and also like Yonel's Top 30 hits on Facebook! Tea lovers would definitely love this event for the launch of a new tea shop in town, A-Gantea! They serve a variety of teas like Milk Teas and Fruit Teas in many varieties and flavors! Get to know more about this new tea in town and also news and future events that will be a great treat for everyone, like them on facebook and follow them on twitter! Axe, the most popular men’s fragrance brand in the World launches a new fragrance called “Axe Anarchy”. What’s different about this new fragrance? It’s the first time Axe has launched a product for women. 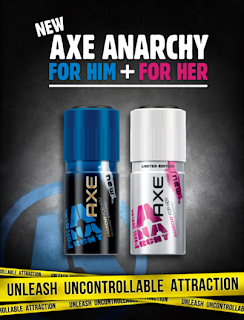 Axe Anarchy For Her is a limited edition Axe fragrance for women launched as part of another Axe social experiment: What will happen if we give the Axe Effect to girls? In today’s World, girls have taken a more active role in the mating game. These days, asking someone out on a date and even proposing marriage is no longer just for guys. And hasn’t it always been guys’ fantasy for women to initiate “getting together”? Well if women will indeed take a more active role in hooking up, is it time for Axe to make fragrances for the ladies too? MUSIC LYF: Karylle - Roadtrip "I've Found My Smile Again"
KARYLLE has a lot of reasons to smile lately as her dekf produced Roadtrip album just turned Gold, she also host "It's Showtime, had a recent concert with Christian Bautista titled "Love and Laughter", Best actress nomination from the Monte Carlo Festivals for Kitchen Musical, and best performance Bronze Medal and Best in Writing Gold Medal the series got from the recently concluded New York Festival. With these, it seems that it is the best time to release her latest single from her album ROADTRIP - "I've Found My Smile Again". This is the third single after the upbeat OMG and the sweet, sincerely Basically. Aside form record stores, Roadtrip can also be downloaded at www.mymusicstore.com.ph, a one-stop mega shop for all your music download needs, also boasts of exclusive downloads made for My Music store supporters only. It also has a library of thousands of songs and albums for you to choose from. On May 10, GMA Network is set to culminate its series of Magayon Festival activities with a bang by offering a night of soulful music with Party Pilipinas’ La Diva taking centerstage in the Conciertong Pasasalamat (Closing Concert) at the Albay Astrodome. The La Diva – Aicelle Santos, Maricris Gutierrez and Jonalyn Viray – who are all products of GMA’s talent search Pinoy Pop Superstar, are sure to delight Kapuso supporters from the province of Albay with their topnotch production numbers. 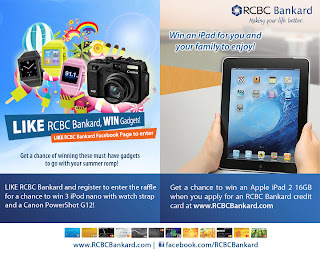 “We are all excited to perform for our supporters in Bicol. Marami kaming inihandang mga song numbers para sa kanila na tiyak ikatutuwa nila,” says Jonalyn. “Excited din kami that we will get the chance to promote our show, Party Pilipinas, to all Kapusong Albayanons,” adds Aicelle. Whatever the weather, staying healthy should always be top of one’s list. This Saturday, join Connie Sison and the rest of the health brigade—dermatologist Dr. Jean Marquez, cancer surgeon Dr. Dave Ampil II and OB-Gynecologist Dr. Raul “Dr. Q” Quillamor on GMA-7’s Pinoy MD for an hour filled with useful tips and helpful information to stay hale and hearty all year long! This week, watch Kapuso balladeer Mark Bautista as he cooks his favourite healthy snack, Vietnamese shrimp sandwich while sharing his secrets on how he keeps his body buff and in tip top shape. 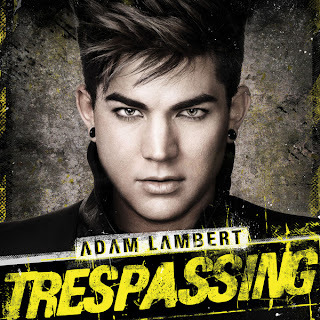 Global superstar Adam Lambert will release his highly anticipated second album TRESPASSING via Ivory Music and Video, The exclusive licensee of Sony Music in the Philippines on May 2012. In addition to co-writing many of the tracks, Lambert collaborated with an all star list of award winning artists, producers and songwriters including Pharrell Williams, Dr. Luke, Bruno Mars ,Claude Kelly, Benny Blanco, Bonnie McKee, Nile Rogers, and Sam Sparro. Research commissioned by the World Bank and World Food Programme notes persistent challenges after displaced households return to their homes. Cycles of violent conflict in Central Mindanao have resulted in the mass displacement of nearly a million people from their homes over the past 12 years. In 2003, tens of thousands were displaced by armed conflict and, more recently, thousands of families had to leave their homes yet again when fighting escalated in parts of Zamboanga Sibugay and Basilan in October 2011. Currently, several thousand people across Mindanao remain displaced, particularly in Maguindanao. Disrupting livelihoods are presenting major challenges to both affected families and the government, these concerns do not necessarily end with the return of displaced individuals to their places of origin, a study by the World Bank (WB) and the United Nations World Food Programme (WFP) during a launch at the Human Development and Poverty Reduction Cabinet Cluster revealed. Paying tribute to mothers all over through films that showcase their devotion and dedication has been a Regal Entertainment, Inc. tradition over the years. Matriarch Lily Monteverde recognizes the important role each mother play in their children's lives via movies she produces for Regal Films. This Year, the company relives this Mother's Day tradition on May 9 through its upcoming release. THE MOMMY RETURNS! This time , it will be marked by no hysterics and no drama, but a combination of horrifying laughter that will cater to the entire family. In the Joel Lamangan movie, comedienne Pokwang (as Ruby) shows her love for her bereaved child when she dies on her husband Gabby Concepcion's 25th weddding anniversary. 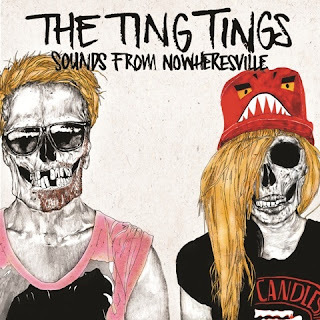 Platinum selling British electro-pop duo The Ting Tings are returning with the release of their long awaited new album ‘Sounds From Nowheresville’ which is locally distributed by Ivory Music & Video, the exclusive licensee of Sony Music in the Philippines. The Ting Tings trademark which inspired the album title for bandmates Katie White and Jules De Martino is simple; to make tracks that sound different to the one before; to have musical freedom and to be held by no boundaries. ‘Sounds From Nowheresville’ didn’t come quickly to Katie and Jules. After achieving worldwide success with their debut album ‘We Started Nothing’ the duo spent a relentless two years touring before eventually returning to the studio. Following a brief spell in Berlin where they recorded and subsequently ditched a whole batch of songs they weren’t happy with; The Ting Tings packed their bags and landed in Southern Spain where they threw out the rule books and made music that made them happy. It took about almost 4 years as it has been the most awaited movie with 5 movies to pave the way for its worldwide debut. 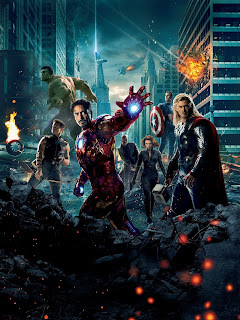 The Avengers bring together the earth's mightiest heroes namely Iron Man, Captain America, Hulk, Thor, Hawkeye, and Black Widow and the S.H.I.E.L.D. led by Nick Fury. There is also a lot of pressure among the producers, writers and also the cast as this has been the movie everyone has been waiting this 2012. 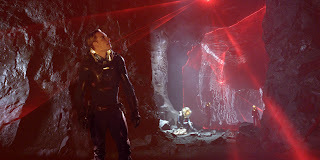 It is also brings the biggest names like Robert Downey Jr as Iron Man, Chris Evans as Captain America, Mark Ruffalo as Dr. Bruce Banner/ The Incredible Hulk, Chris Hemsworth as Thor, Jeremy Renner as Clint Barton / Hawkeye, Scarlett Johansson as Natasha Romanoff / Black Widow, Tom Hiddleston as Loki, Samuel L. Jackson as Nick Fury, Cobie Smulders as Maria Hill and also apperances of Clark Gregg, Stellan Skarsgård and Gwyneth Paltrow as Phil Coulson, Erik Selvig and Pepper Potts respectively. One Direction have done it again; their December 3 show at Madison Square Garden sold out in under 10 minutes. 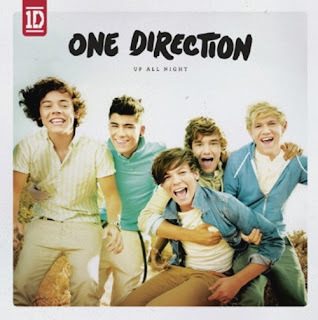 With their entire May/June 2012 tour also selling out in minutes, One Direction are giving their fans a chance to see the group live once again in the summer of 2013 as part of their World Tour– the earliest they are able to return with a tour to the States. The Live Nation promoted 25 city tour kicks off in Ft. Lauderdale, FL on June 13, 2013 and hits New York, Toronto, Chicago, Los Angeles, and more (see below for full dates). Tickets go on sale Saturday April 21, at Ticketmaster.com and LiveNation.com. For more information visit www.onedirectionmusic.com. What's so great about a heat wave? It's the perfect excuse to come up with a summer pool party! 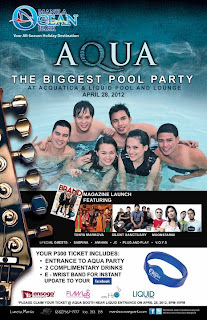 On April 28, dress up in your best summer fashion and have a fantastic time at Manila Ocean Park. We are bringing out all the elements to make AQUA – the coolest event by the bay area. Swim and groove the night away as the sun sets at 5pm onwards. See pumped-up performance from top local bands Silent Sanctuary, Tanya Markova, Moonstar 88 and more. Have some refreshing drinks at Liquid Pool Bar and Lounge and listen to the pulsating beats of house music and club DJ. Be part of the grand launch of Brand magazine - the newest hip publication in town. With the launch of the new ClimaCool® Seduction, adidas offers a 360° ventilated running experience for an improved performance and the coolest ride yet. New ventilation channels across the outsole and the use of ClimaCool® material on the upper of the shoe help to evaporate sweat, keep temperatures within the shoe low and provide ventilation from all sides. In addition, COOLEVER lining, a special clover-shaped yarn, keeps the foot cool, dry and comfortable during the run. The achieved performance benefit of 360° ventilation reduces thermal stress and discomfort during workouts and results in an increased running performance. 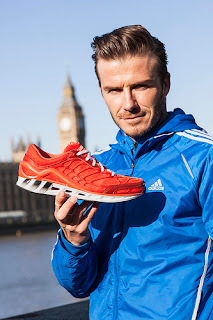 Well-known adidas technologies such as the TORSION® SYSTEM for better surface adaption and stability, the durable adiWEAR® outsole for improved traction and durability, and a soft and flexible midsole for maximum comfort complete the shoe. BATTLESHIP brings together the Navy, Army, Air Force and the Marines in an all out war for Earth against an unexpected alien invasion that the advantage of the invading team . From War Games the exercises becomes a critical game of the fate of Earth. The movie stars Taylor Kitsch, Rihanna, Liam Nelson , Brooklyn Decker and Alexander Skarsgard . Situated in the Pacific Ocean, the vast body of water serves a perfect battleground with all that firepower from destroyers and battleships and alien warcrafts. The U.S. theatrical trailer of GMA Films’ “The Road” became no. 1 among the most popular trailers in iTunes starting 5pm LA time (April 23) or 8am Manila (April 24). 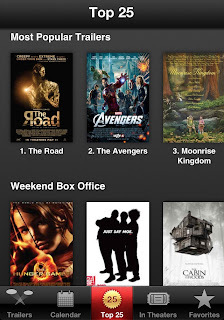 In the screen capture below, “The Road’s” trailer was at the number 1 spot followed by the trailer of “The Avengers.” As the Road hit US Theaters this May 2012. 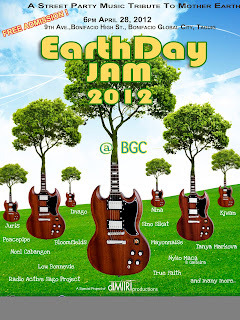 The biggest street party music tribute will be happening on April 28, 2012 at the 9th avenue in Boni High St., Bonifacio Global City as we celebrate this year’s EARTHDAY JAM 2012 !